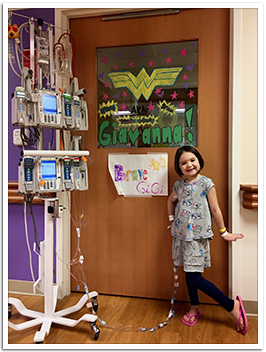 Giavanna was admitted to Children’s Hospital of Wisconsin on July 3, 2017 for dangerously low platelet and white blood cell counts after her family noticed excessive, unexplained bruising along her legs and arms. Her diagnosis was confirmed as Aplastic Anemia, a very rare bone marrow failure disease. 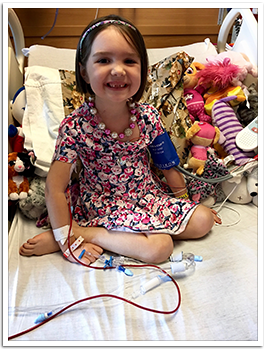 From the first day of admission, Gia was transfusion dependent, relying on at least two platelet transfusions and one blood transfusion every week, sometimes more. 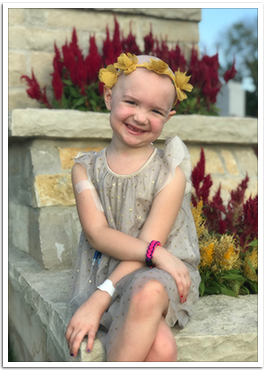 After many intense conversations with Dr. David Margolis and the team at the MACC Fund, the family made the tough decision to go forward with a bone marrow transplant on account of Gia’s very severe condition. When it was confirmed that Gia’s 6-year-old brother was not a match, the transplant team worked swiftly to find Gia a perfect bone marrow match – ultimately finding her donor all the way in Germany. 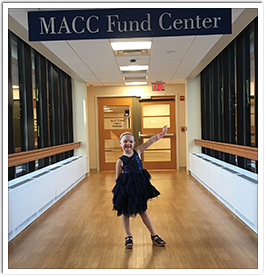 The MACC Fund was able to make Gia’s transplant happen at record pace, thanks to their hard work and a more than willing donor, and Gia received her life-saving bone marrow transplant cells on Aug. 22, 2017! After 57 days in the hospital, Gia was able to go home late-September just in time to celebrate her 5th birthday. While Gia continues to visit the MACC Fund Day Hospital at least twice a week for lab work and check ups, she is well on her way to recovery. 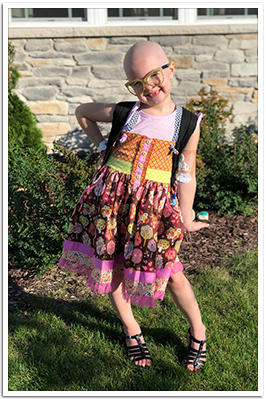 Every MACC Fund doctor, nurse practitioner and nurse played such a vital role in Gia’s care and treatment during her long stay at Children’s, and they remain vital in giving her a future. 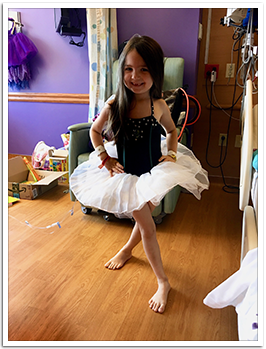 Every day in the hospital, no matter how she was feeling, Gia danced and sang, clicking her tap shoes and twirling around. 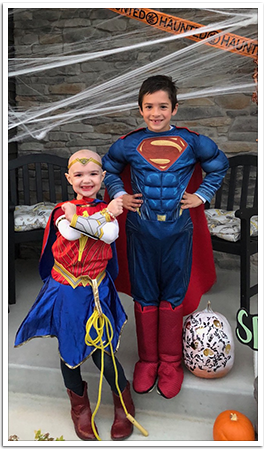 While they still have a long road to recovery ahead of them, the family cannot thank the MACC Fund enough for all they have done, and continue to do, for Gia, who is dancing away and happily growing her new cells in the comfort of her own home. 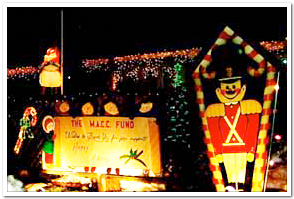 Learn more about The MACC Fund on the MACC Fund page. Get directions to Candy Cane Lane on the Directions page.